Following of the popular DS61 solution in the digital signage market, Shuttle launch of the DS61 V1.1 strengthen expansion of capacity to meet the user needs of a large number of expansion device, the DS61 V1.1 is also equipped with H61 Express Chipset, high-performance processors support Intel® Core™ i with dual display interface for high-definition output capability, a substantial upgrade digital signage system display quality; in addition to built-in RS232/RS422/RS485 interface, in front panel with four USB ports, to facilitate the expansion of the USB connected devices, allow it have more diversified digital signage application. DS61 V1.1 also has energy-saving and low noise design, save you the expense and the best choice for digital signage solution. 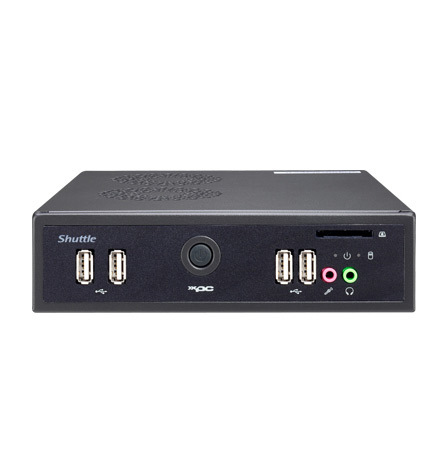 Shuttle DS61 V1.1 equipped H61 Express Chipset, support Intel® Sandy/Ivy Bridge Core™ i3/i5/i7 65W high-performance processor, built-in Intel® Graphics HD 2000/3000(Sandy Bridge) or 2500/4000(Ivy Bridge) performance superior to Atom processor to meet the diverse application requirement of the digital signage solution. 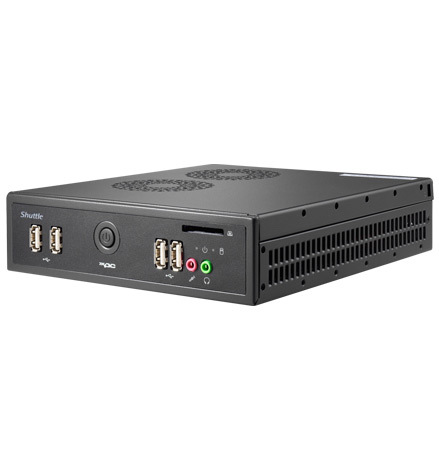 The DS61 V1.1 of built-in HDMI, DVI-I dual display output, supports 1080p Full HD high-definition digital content playback, greatly upgrade digital signage display quality, enhance customer viewing experience. The DS61 V1.1 uses ultra-slim design, machine thickness of only 43mm, the thinnest on the market H61 solution. 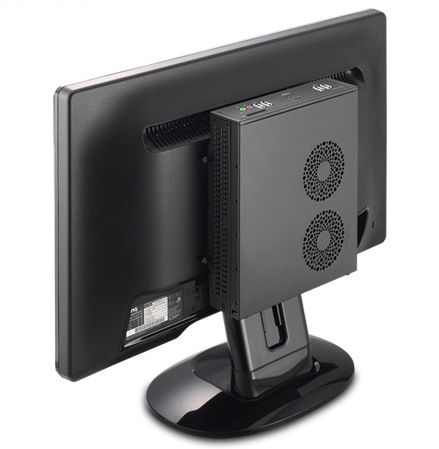 DS61 V1.1 supports VESA Mount capability, body designed to meet the international VESA standard Mount, capable of mounting to the rear of a LCD monitor or a TV. This space saving capability makes it easy to blend into any environment. 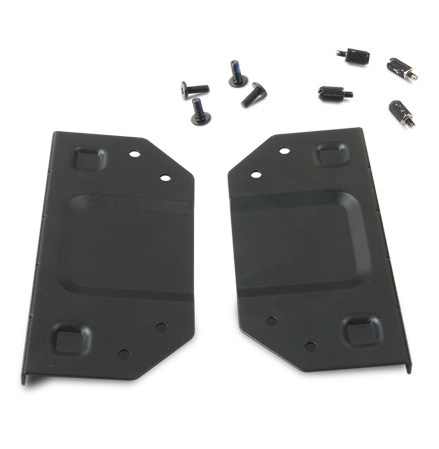 Because of the demand operating environment of the digital signage solution, DS61 V1.1 specially design to use the all Industrial Solid Caps, high stability can be maintained for a long time operation. 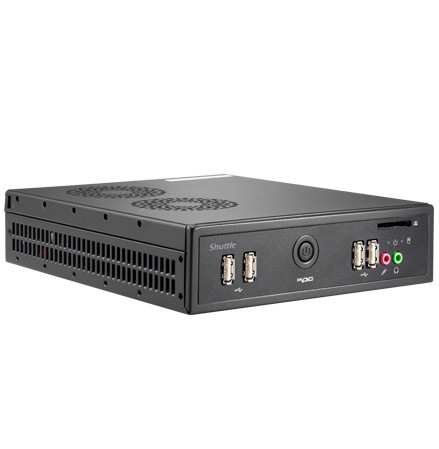 DS61 V1.1 provides diverse I/O interface, especially built-in RS232 / RS422 / RS485 dedicated interface, four USB ports in the front panel, can easily link with a variety of peripheral, allow digital signage easier to build and to extend multi-application areas. 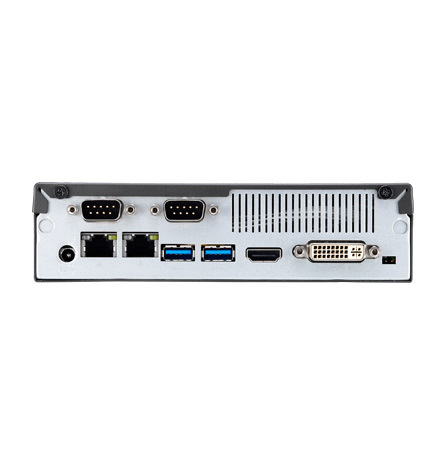 DS61 V1.1 built-in Realtek 8111E dual LAN interface, supports 10Mb/s, 100Mb/s, 1000Mb/s high-speed transfer capacity, which can effectively control the network speed and built-in two groups of new generation of USB3.0 ports provide the highest 5.0Gbps transfer rate and significantly enhance digital signage data transfer efficiency and save the operating time. The Shuttle’s DS61 V1.1 system consumes less than 90W of power in full use, built-in intelligent high efficiency heat pipe cooling system and operate with low noise, enhance the power use efficiency and reduce power consumption. The power design save energy and money at the same time.